The aforementioned post title may become a cliche for some of my readers, yet this will be the last part of its kind in this blog. I have been so long from this blogosphere as I was involved vigoriously with my academic works. Nevertheless, I make a point to read blogs of some of the popular bloggers. This post may sometimes seem irrelevant, yet this is what I vividly feel. Taxes affect price of goods and services. To a consumer tax is bad because one need to pay higher than his or her estimated consumer surplus. It will equally hamper the amount of production in the market but to a better cause what if that product has negative externalities? What if that externality adversely affects a group of people who are not responsible for it? Here tax should be answer to both the questions. It should internalize the externalities and it should serve as a mechanism to reduce the production so that spillover is reduced. When people are taxed, large part of their incomes are lost. After lots of their hard work when part of their share of income is irrationally lost, people get de-incentivized to work hard. BIT and CIT taxes in Bhutan are at flat rate of 30%. This is irrespective of the business size. In a way, this seems to be an unfair treatment to the small businesses earning a meager income while big businesses are at an advantage over the smaller ones. Further, we cannot determine who is rich and who is poor because there is an exclusion of irregular incomes like income from the sale of cordeceps by PIT system of Bhutan. Income through rents is hardly declared by many house owners in the country. The tax slap for exemption is relatively lower compared to increasing living cost and people’s disposable income. People with salary as low as Nu.8000 are liable for Personal Income Tax. This makes people of low income struggle to survive. People have just a part of their income after tax. As a result of which tax to citizen is a burden. On the other hand, as mandated by the constitution of kingdom of Bhutan the government should ensure to meet the cost of recurrent expenditure from internal resources of the country. Tax forms a major part of contribution to the internal tax revenue. And paying tax as enshrined in constitution is also one of the fundamental duties of every citizen under state’s protection. Government while discharging their public goods and services to the citizen, they needs lots of budgets to finance it. Without tax they cannot discharge half of their duties to the citizens. When we say public goods and services it means those goods which are invaluable to the public but market do not produce it. Wide range of Pure or quasi public goods and services like social security through defense, health, education, roads, bridges, public infrastructure and etc should be financed by the government. This is because no ordinary citizen or business firms voluntarily finance it because they have no incentive to do it. Without imposing tax on citizen the benefits and social welfare from public goods and service cannot be given to the citizen. There are special group of people in the society who need the special attention from the state. This special group of people includes elderly, monks, disabled, vulnerable citizens and unemployed ones. To them tax should serve as redistribution mechanism so that wealth and income is redistributed to all the people. And tax through progressive means and through ability to pay theory can bring about social equality. Tax is also used to intervene in the situation like market failure. When a market economy fails; not considering spillover effects, government through taxation should de-incentivize the market to produce more products that has negative bearings. Our economy is confronted with much instability and fluctuations, tax should serve as cyclical mechanism to counter act the fluctuations of market economy. Taxes are also imposed to some products that have negative impact to the society. The sales of alcohol, drugs and some environmentally sensitive products must be imposed very high tax. This is because it will firstly help government to generate quite a lot of tax revenue and secondly it will help people change their behavior. In a meanwhile, the use of these products which are morally questionable will be soon reduced and people will come up with some sensible alternatives. Typical example in which Bhutanese government failed to tax high was on tobacco in recent years. They opted for a total ban which led to several people going to jail due to black marketing. People in the jail thus become social burden which need to be fed from governments revenue. In other countries this products are always taxed hundred percent and because of which there is no problem such as black marketing. 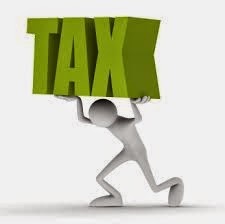 Even with all things said and done, it is never easy to say whether tax is good or bad. Tax is both a moral issue and an economic issue. All moral issues are not economical and all economical issues are not morally right. Therefore, the fate of deciding whether tax is good or bad is always left to the mercy of people’s decision. Bagchi, A. (2005). Readings in public finance. New Dehli. Oxford University Press. Bhatia, L.H. (2006). Public finance (25th ed.). VIKAS PUBLISHING HOUSE PVT LTD.
Fifth annual report of Lyonchen Jigme Yoeser Thinley on the state of the nation. (2013). Thimphu. Kuensel Corporation Ltd.
Gans, J., King, S.,Stonecash,R. & Mankiw, G.N (2012). Principles of economics (5th ed.). Cengage Learning Australia Pty Limited. Listokin, Y. (2009). Stabilizing the economy through the income tax code. Yale Law School. Musgrave, A.R & Musgrave, B.P. (2004). Public finance and theory and practice (5th ed.). Tata McGraw-Hill Publishing Company Limited. National revenue report 2012-2013. (2013). Thimphu. Department of Revenue and Customs. Sandmo, A. (n.d). The effects of taxation on savings and risk taking. The Norwegian School of Economics and Business Administration, Bergen. Waidyasekera, D. D. M. (n.d). Role of taxation in development strategy. Institute of Policy Studies of Sri Lanka. Zilberman, D. (1999). Externalities, market failure, and government policy. Berkeley. University of California.